Last year in the summer I decided to go with my bike to Aachen Germany, to look if I could still find something that I hadn't bought yet. In the end I only came back with a Wilkinson Sword Shaving Stick, where I had read great things about. This shaving stick is also often nicknamed the Mitchell's Wool Fat in stick form, that is because it contains Woolfat. 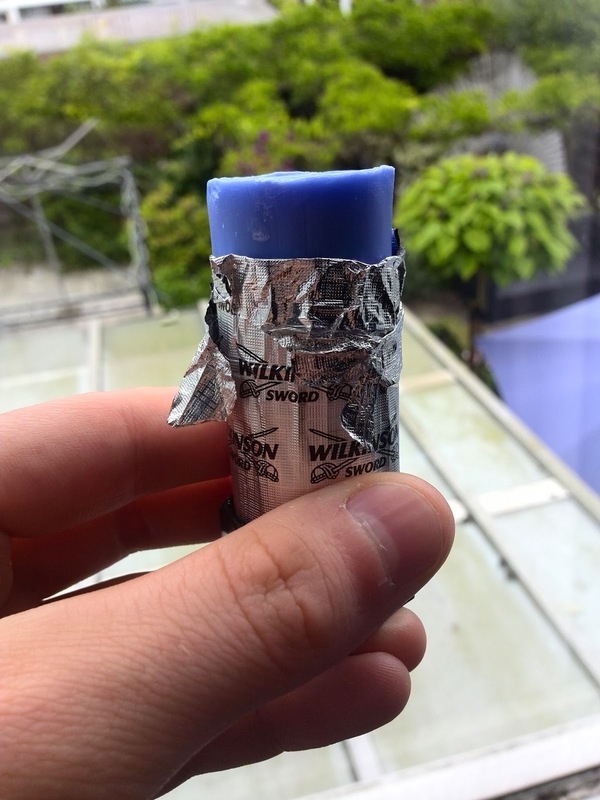 The Wilkinson Sword Shaving Stick comes in a small carton box, and on the sides you can find shaving soap translated in seven languages, like German, Spanish, Dutch and French. For the rest there is nothing special about the packaging, and it just contains the shaving stick packed in tinfoil with an useful holder to hold the shaving stick. 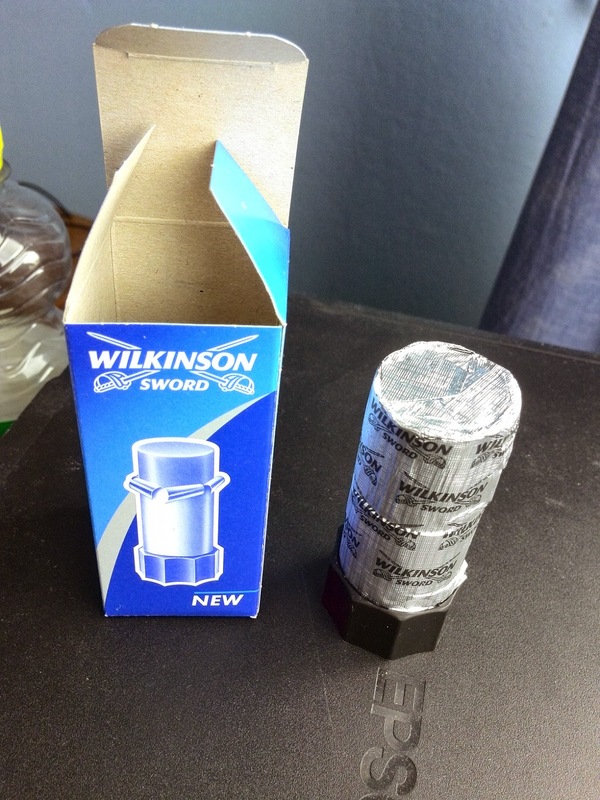 I have used the Wilkinson Sword Shaving Stick quite often, and almost already finished the first one. To use the shaving stick you simply make it wet and apply it straight to your face, and then you just start face lathering. The performance of the Wilkinson Sword Shaving Stick is really outstanding, and creates an rich thick lather enough for two or three passes. The quality of the lather is really superb, and it provides a very good glide and protects the skin very good and also doesn't dry the skin out. Describing the is quite hard, but it would be best to describe it as an mild soap scent, which I personally think smells very pleasant. In Germany you can buy the Wilkinson Sword Shaving Stick for € 1,45 from the Rossmann drugstore, I don't know if you can buy the Wilkinson Sword Shaving Stick locally outside Germany. But I do know you can buy two of them for £ 5,00 from Connaught Shaving or £ 2,99 for one from Maguires Barbershop, and for people who life in the USA, West Coast Shaving sells the Wilkinson Sword Shaving Stick for $ 6,00. 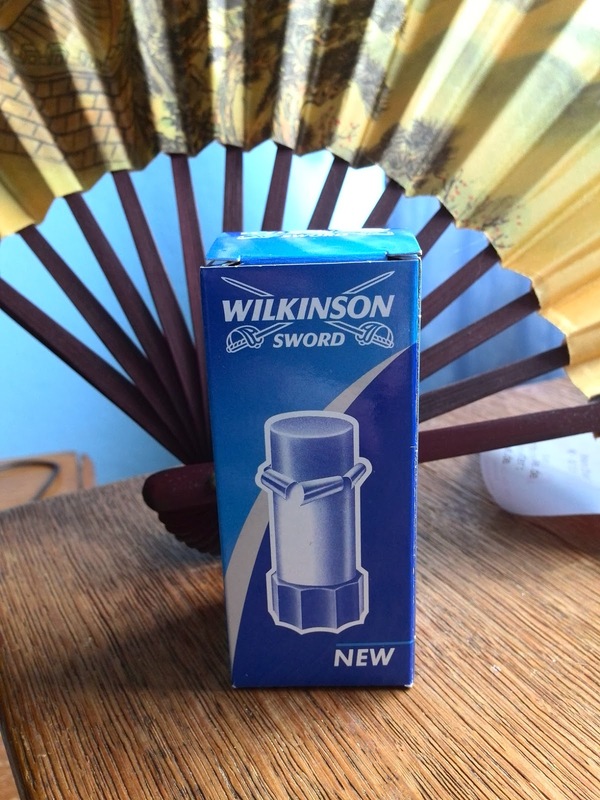 Wilkinson Sword offers with this shaving stick a outstanding shaving soap which is from high quality, and offers a great value for your money. When comparing this shaving stick to the Palmolive Classic Shaving Stick its definitely worth paying the extra money for this shaving stick, because it performs better than the Palmolive Classic Shaving Stick. By the way, this isn't the same shaving soap as the normal Wilkinson Sword shaving soap in blue bowl, which I heard isn't great shaving soap.